This guest room is tastefully decorated. The bathrooms are within the same room but divided by a screen. 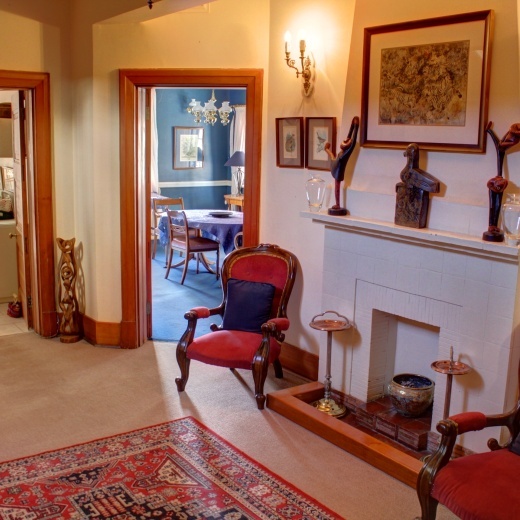 There are tea and coffee-making facilities provided in the rooms. Sondela, meaning 'come closer', is a gracious guest house situated on Leopold Takawira Avenue, just 1km from the city center of Bulawayo. Set in a tranquil garden with abundant bird life and a sparkling swimming pool. This elegant guest house offers three tastefully decorated rooms en suite, one inter-leading family room and one luxurious suite. Sondela offers peaceful areas within the garden to escape with a good book, before retreating into the bar, which is equipped with an excellent selection of refreshments. 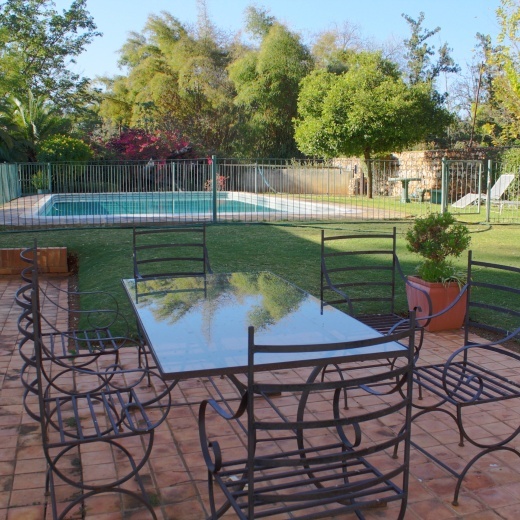 In addition, there is a full size snooker table and DSTV and wireless internet. Sondela is ideal for tourists, business travelers and casual visitors. The guest house also offers corporate companies the facility to have breakfast meetings, think tanks and company team-building days out of the regular corporate environment. The Sondela staff are well known for their warm and friendly hospitality and invite you to relax and recuperate while traveling within Zimbabwe, offering personal service to each of our guests.